These books will arrest your interest and attention from cover to cover. It is a must for every shelf at home, office and school. 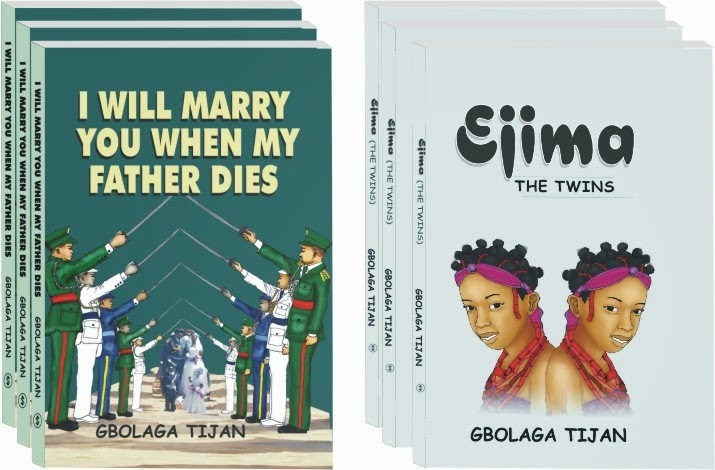 A Public presentation of the books by author, Gbolaga Tijan is scheduled for December the 16th in Abuja. A family is robbed of happiness due to misunderstanding, failure to reach a compromise and harmonization of beliefs about one of their children's illness. The mother takes a decision without her husband's consent. Not even the intervention of friends and a clergyman could stop her from executing her plan. What happens next is gradually unfolded in this suspense-filled book. Captain Gbolaga Tijan, holds a HND in Accountancy from Nigerian Army School of Finance and Administration, Lagos, B.Sc. in Economics from University of Abuja and Diploma in Law from the same institution with LL.B. He is also the author of "The Making of a Soldier". Some of his unplished literary works includes: The ECOMOG Soldiers, The Architects of Nigerian Army and A Night in Babylon. He served as a rifleman during ECOMOG Operation in Sierra Leone. He was an instructor in Nigerian Army School of Education in Ilorin. He was in charge of Literary and Debating activities in Command Secondary School, Ohafia, Abia State, where he taught Economics and doubled as a Vice principal Administration. He is currently a Librarian at Headquarters Directorate of Legal Services, Nigerian Army, Abuja.